Historians may balk, but Currys PC World's gadget-heavy spin on Victorian England offers viewers a vintage Christmas caper. Currys PC World take a more bait-and-switch approach than previous instalments of this ‘Kitchen Envy' campaign. Parental approval is in short supply in Currys PC World's latest examination of ‘kitchen envy'. 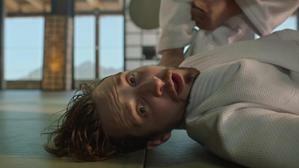 Currys PC World tackle the thoroughly modern scourge of ‘kitchen envy' in this entertaining ad. Another amusing ad from Currys PC World continues to riff on kids heading off to university. Currys PC World suggest people should trade their knackered old hardware in for a new model in this amusing ad. As the domestic football season draws to a close, Currys PC World riff on player interviews in this 30" ad. Currys PC World employee and "fitness fanatic" Ahmed gives Apple's portable gear a spin. Another Currys PC World employee puts some borrowed tech through its paces in this 40" commercial. Currys PC World double-down on knowledgeable - and slightly eccentric - staff. A Currys PC World employee tries (and fails) to test drive the new Lenovo IdeaPad at home. This dad's not as clued up about tech as he'd like to be. Luckily, a Currys PC World assistant is able to point him in the right direction. One of two droll Christmas ads from Currys PC World showing how far we'll go to draw attention to the items on our festive wishlist. After last year's excellent ‘Spare The Act' series starring Jeff Goldblum, Currys PC World have some, well, act to follow. However, AMV BBDO and Outsider's James Rouse have proved themselves to be up to the challenge with this nativity play with a difference. The rhythmic spark of Beck's 'Dreams' isn't enough to elevate this otherwise rote Currys PC World ad. The doddery mother-in-law is a well-trodden meme, but Currys PC World have found a way of giving an old joke a bit of extra spirit. Currys PC World return to our screens with an entertaining series of bumpers promoting their sponsorship of Channel 5's The Gadget Show. In this wry spot for Currys PC World, Jeff Goldblum gives some unsolicited advice to Russ, the employee at the office party who's already on "thin ice". Jeff Goldblum helps this family react with a little more encouragement to an decidedly unsuccessful Christmas dinner. Next to receive some of Jeff Goldblum's pointers is a man who's less than enthused by his partner's gift - peppermint-scented talc powder. Currys PC World's terrific Christmas campaign centres on the moments of strained enthusiasm we radiate when our nearest and dearest don't quite provide the Christmas of our dreams. This particular execution in the Currys PC World Christmas campaign has Jeff Goldblum finding himself having a meta-existential crisis in a nana's living room. What better way to try and persuade your dad to cough up for a new laptop than to send a little flattery his way? This will no doubt raise a knowing smile on the faces of parents across the land. Oh dear - poor Benji the pug. While mum's out, dad is plotting to get a new pc and has decided the dog is just what he needs for success.